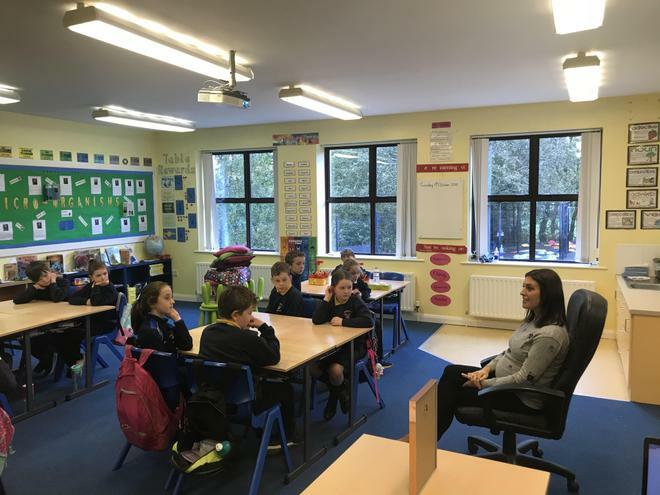 Our past pupil and musician Gemma Bradley visited our class to talk about her career in music. 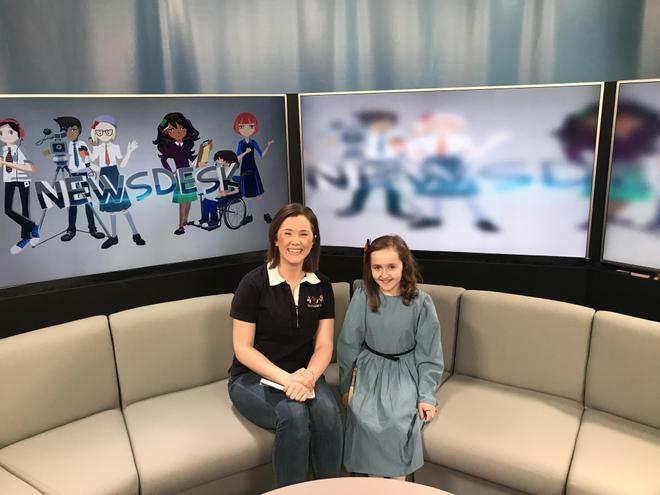 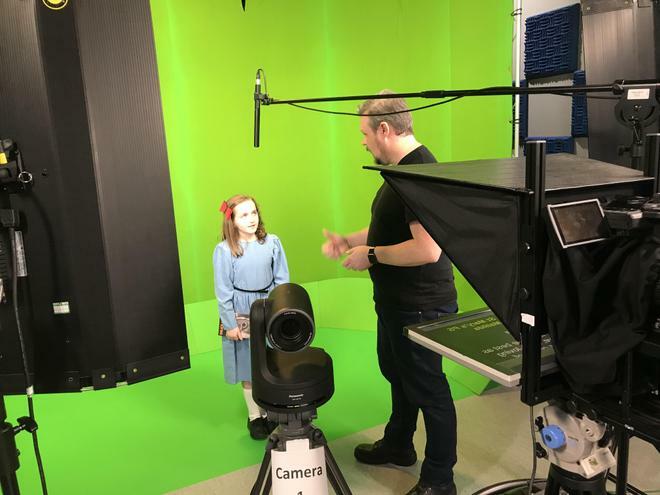 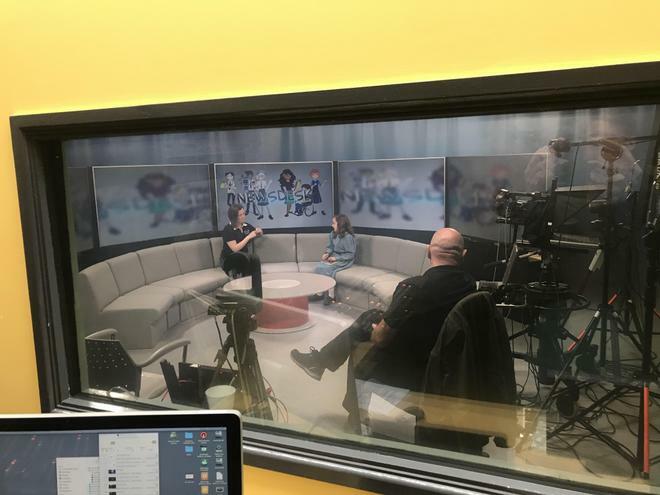 Visit to NewsDesk HQ for World Book Day. 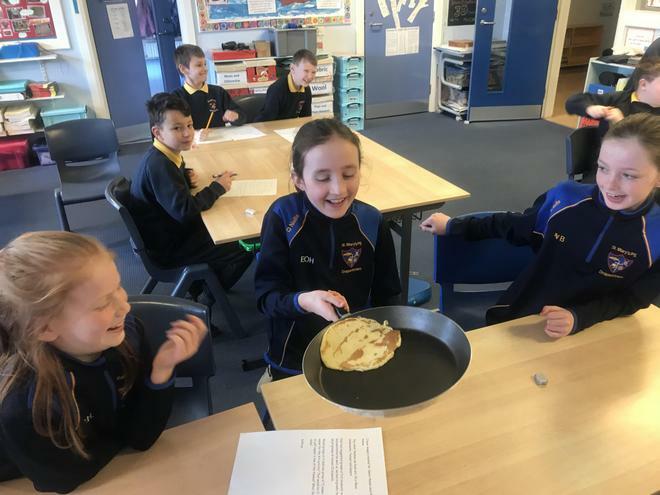 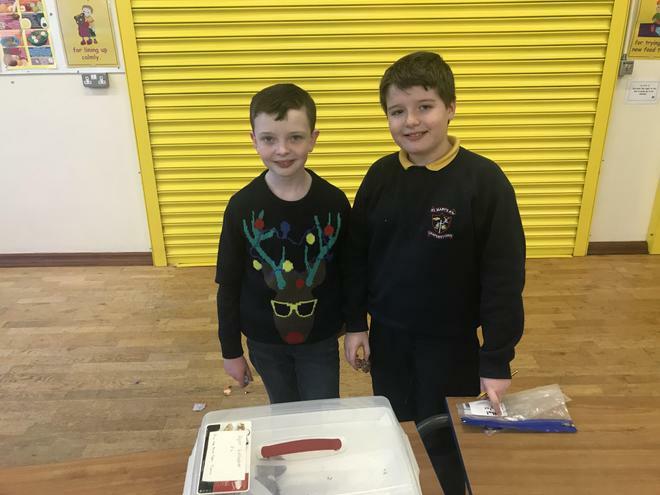 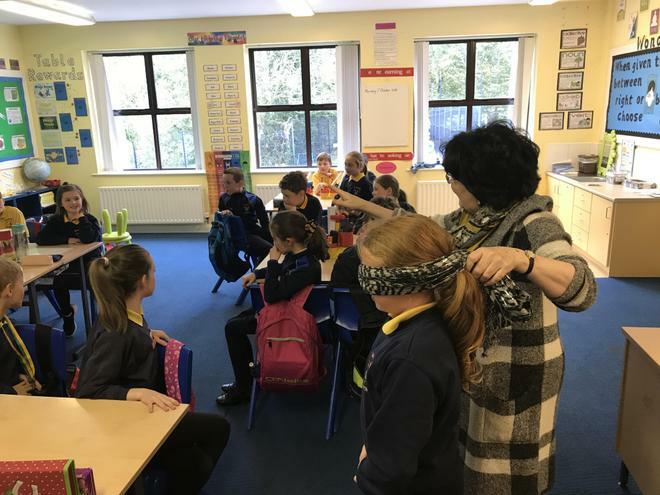 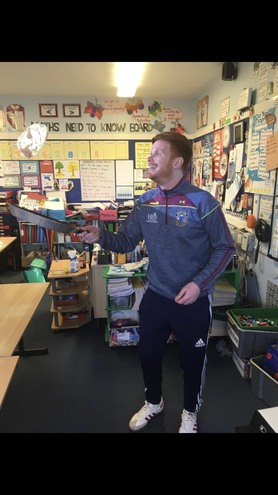 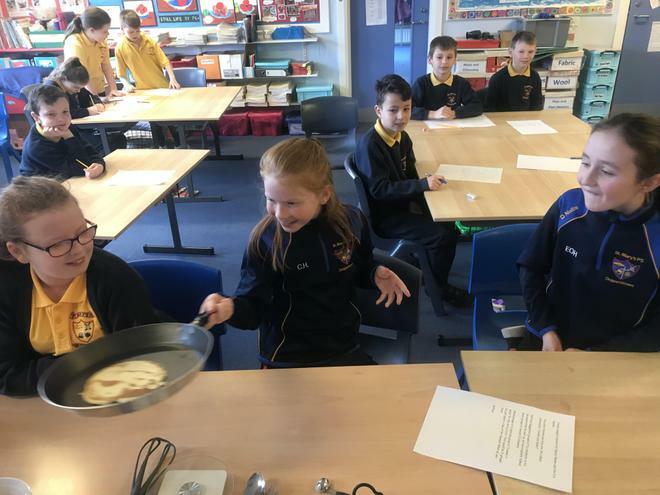 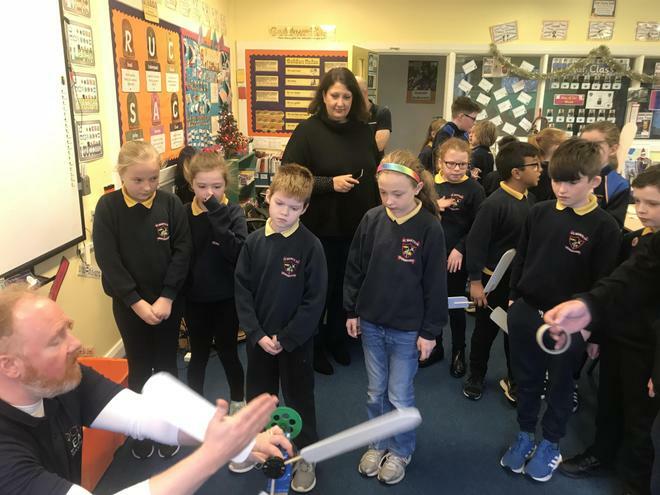 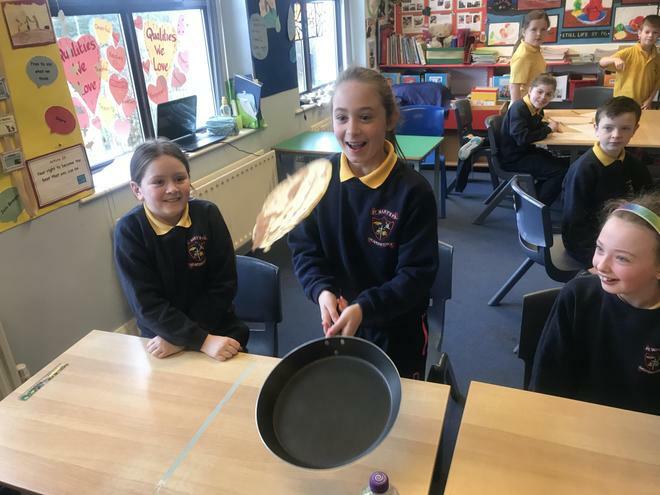 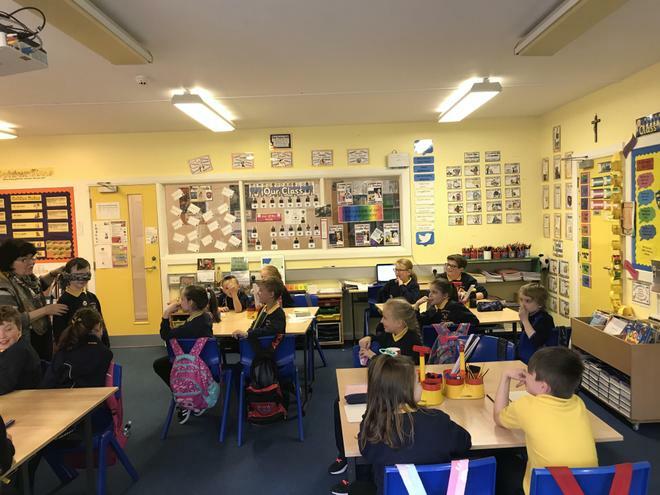 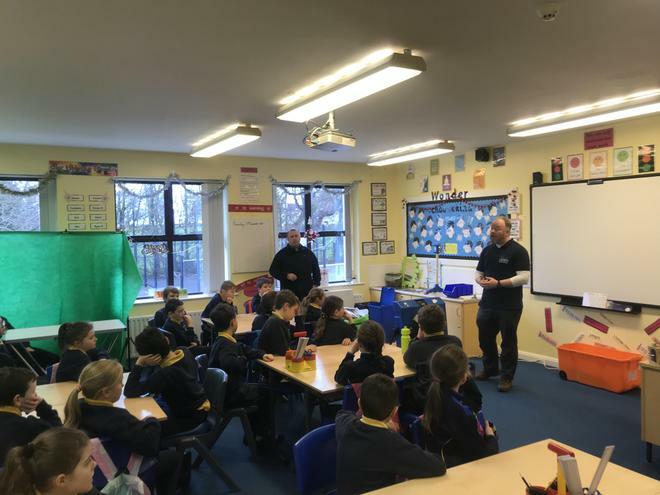 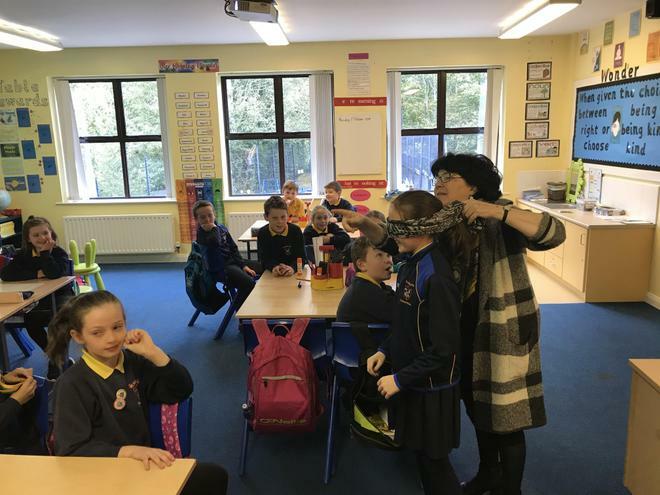 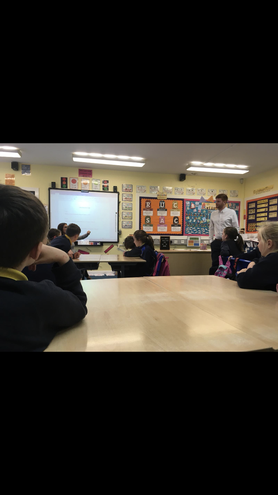 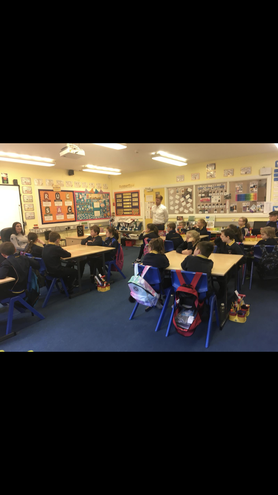 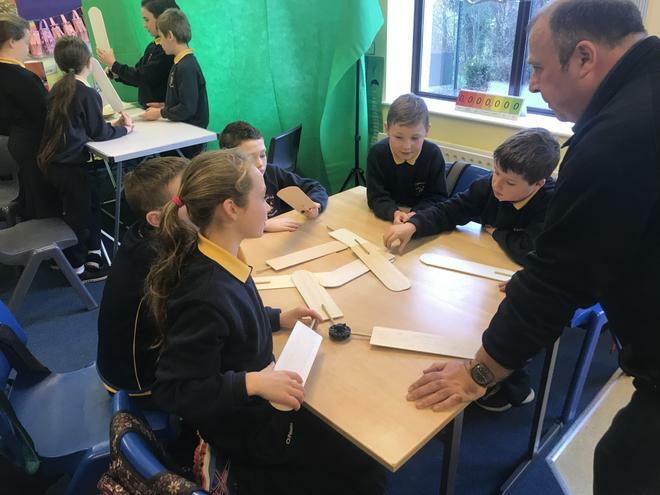 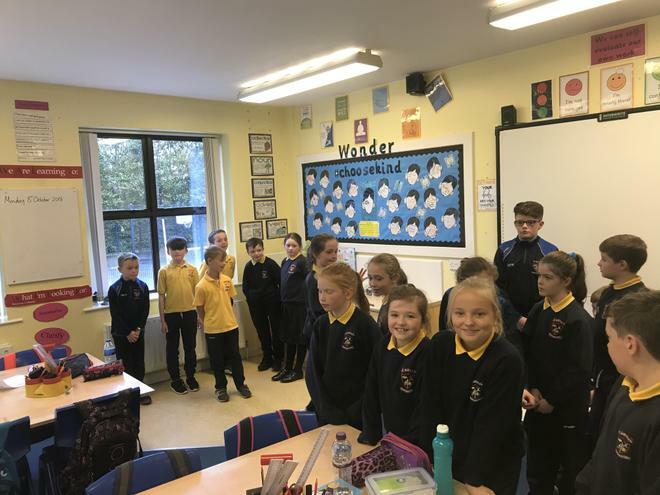 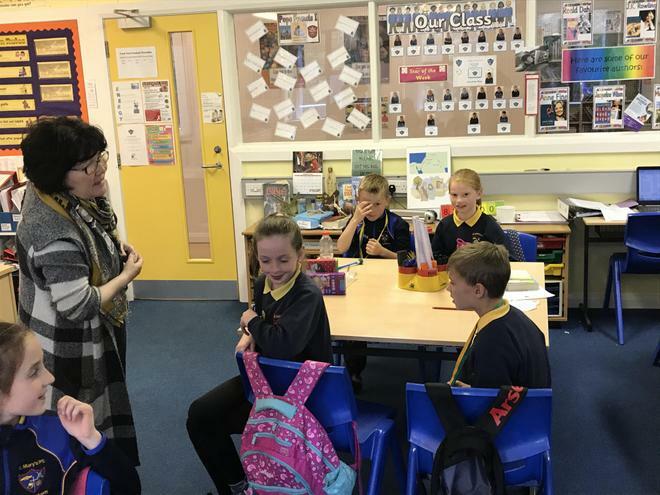 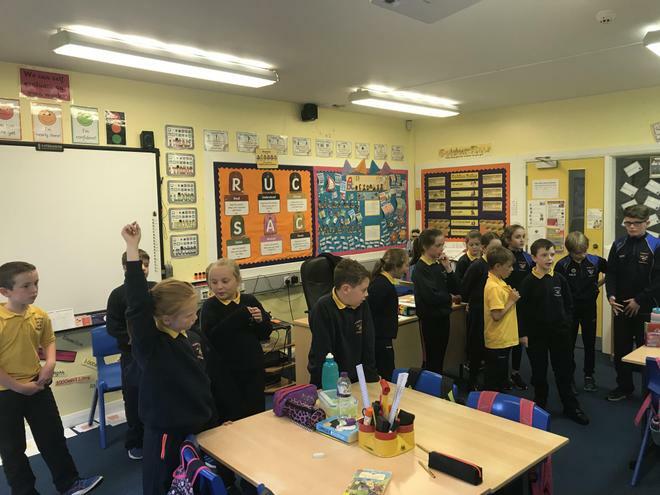 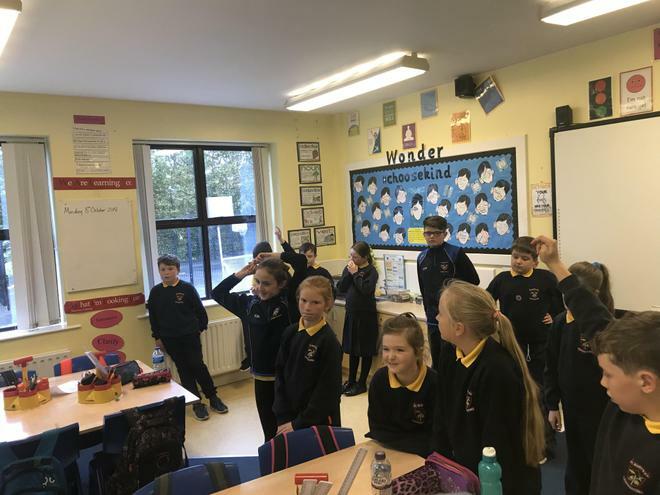 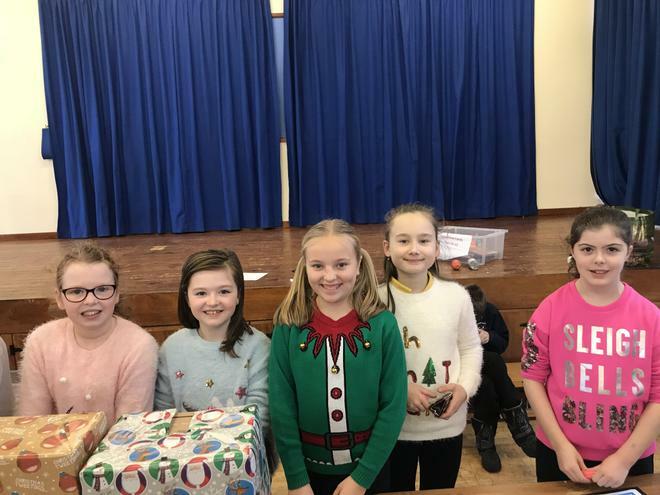 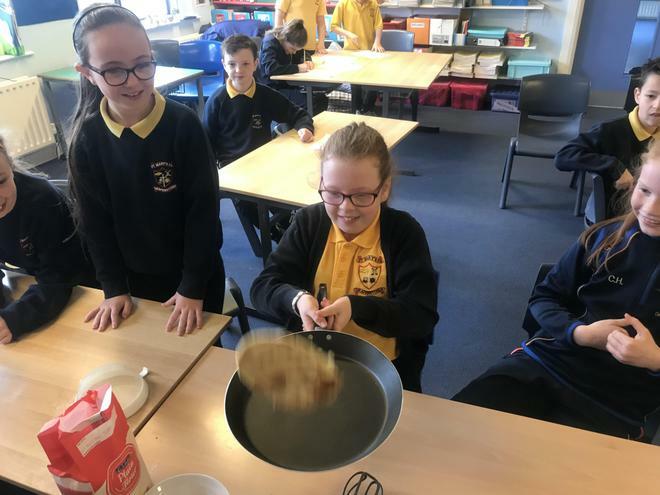 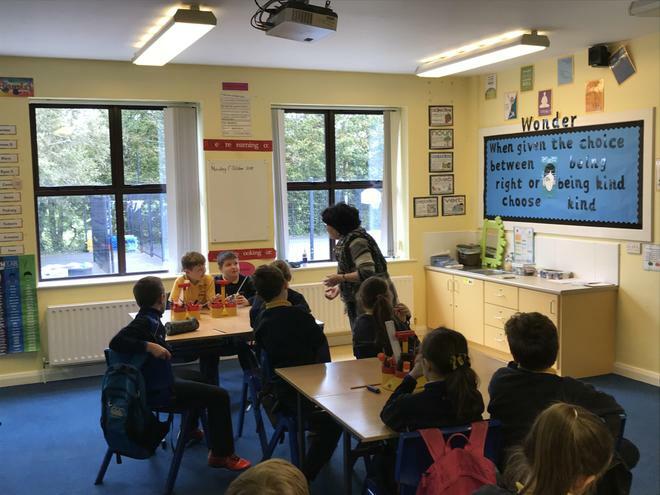 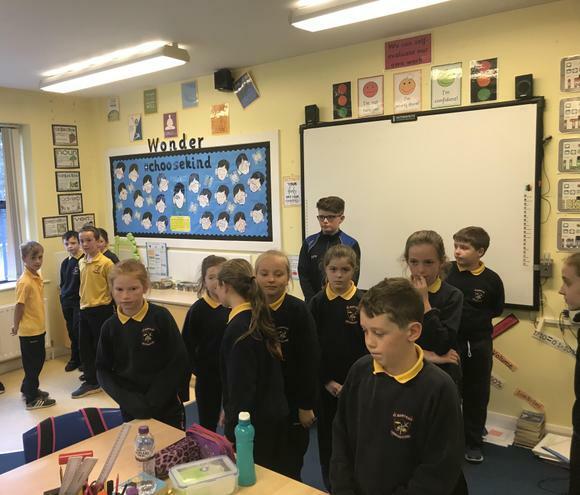 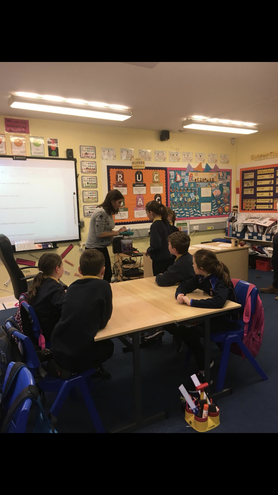 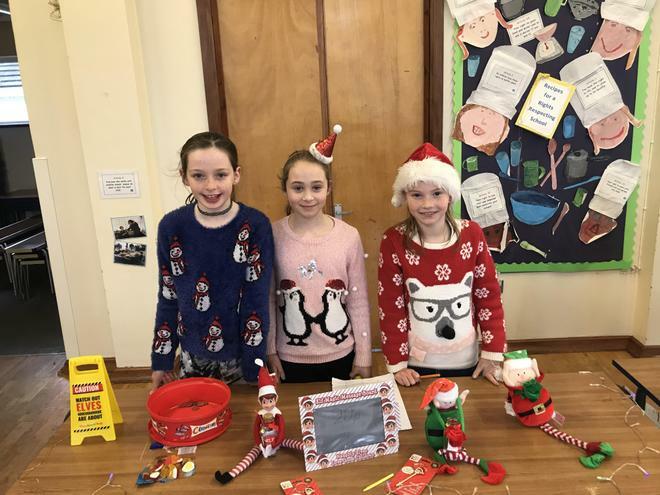 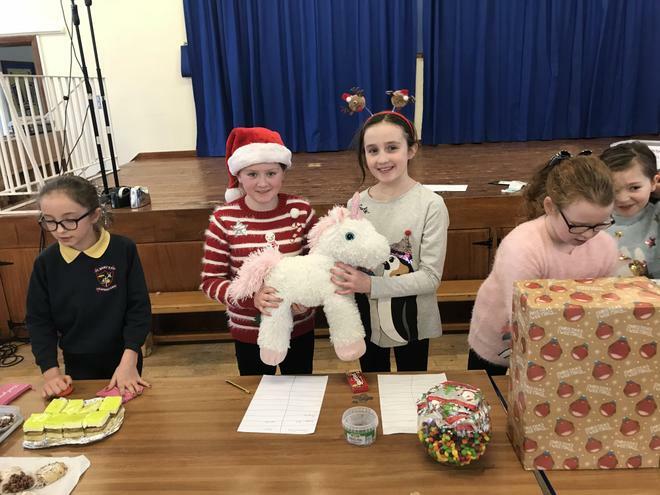 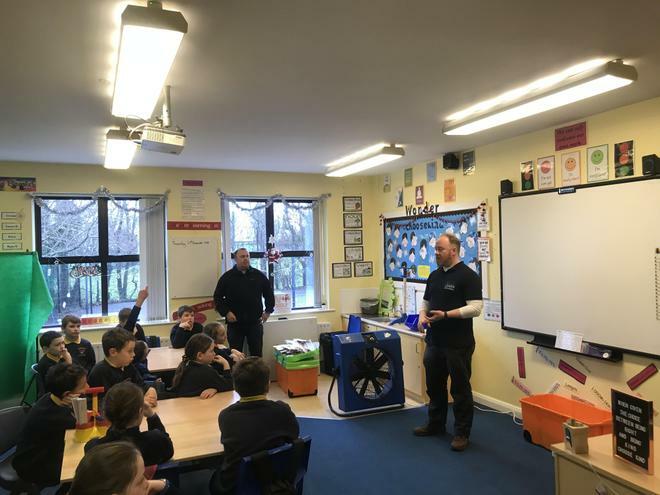 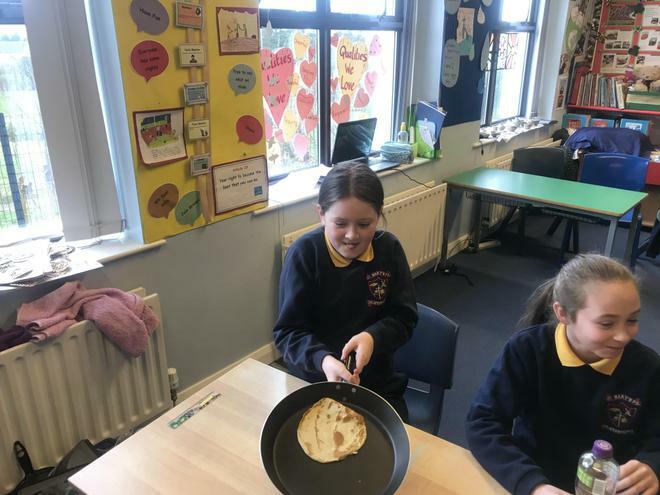 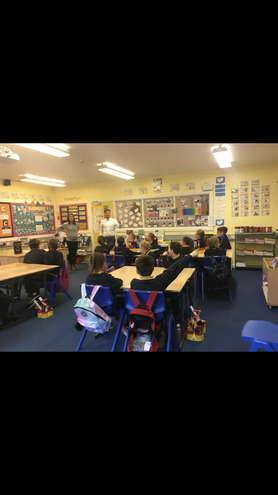 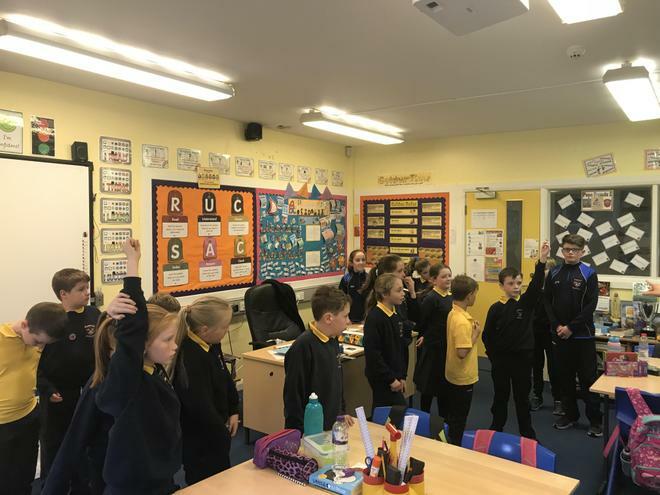 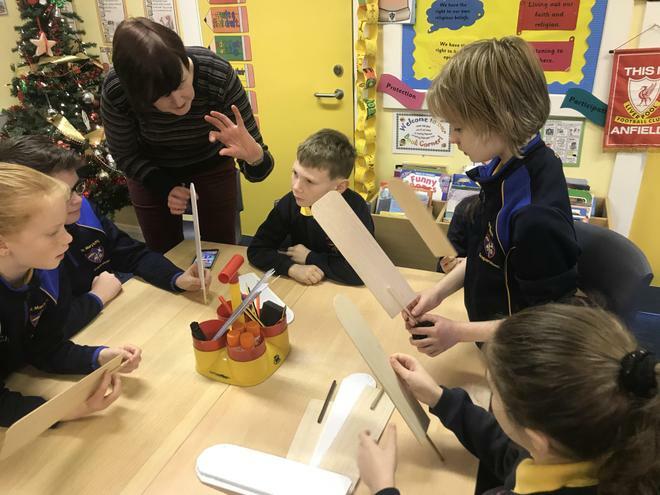 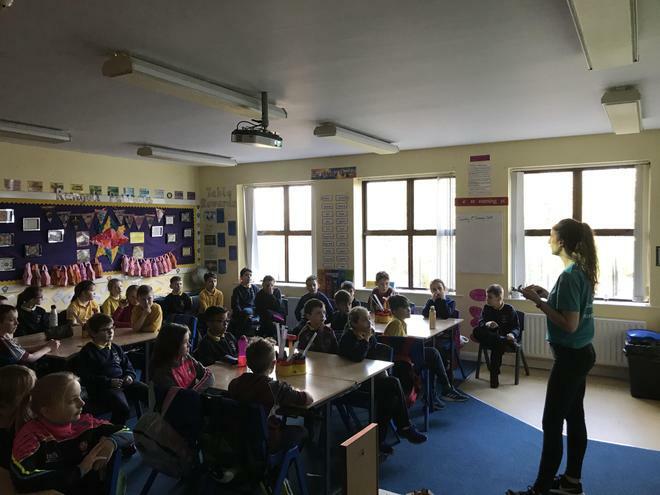 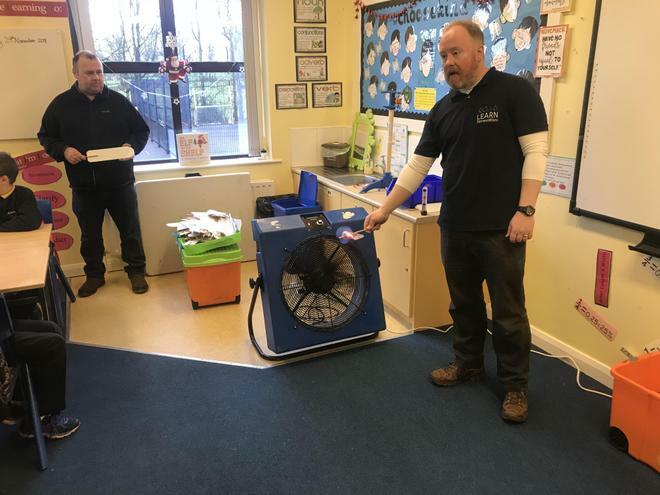 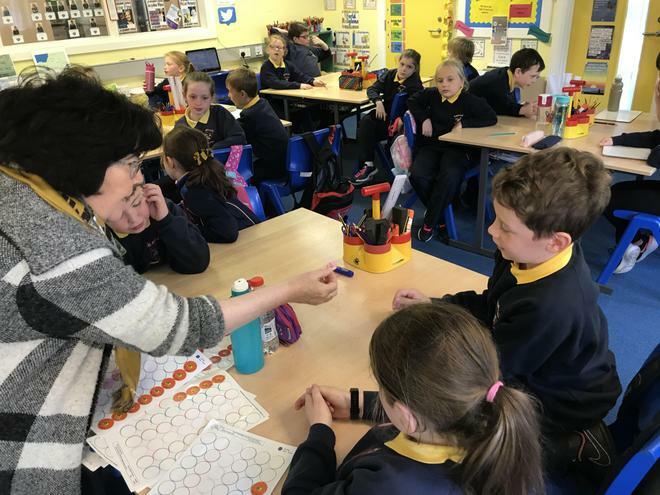 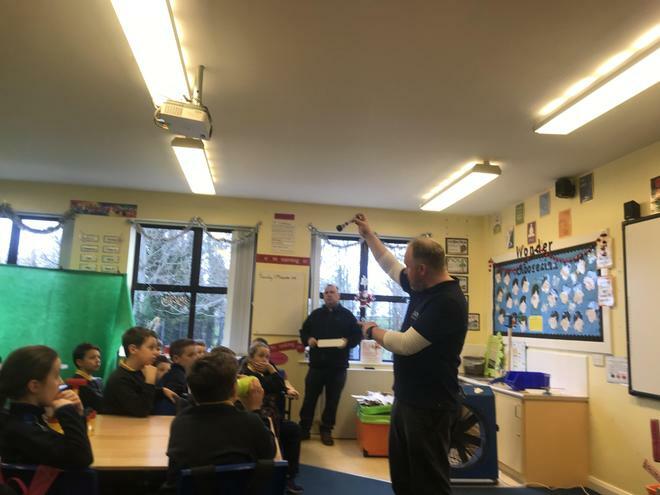 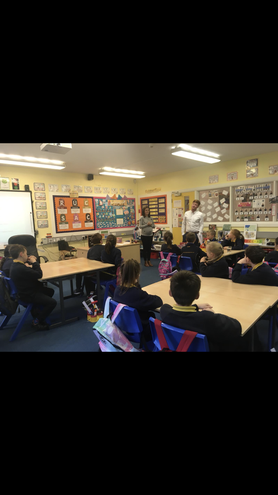 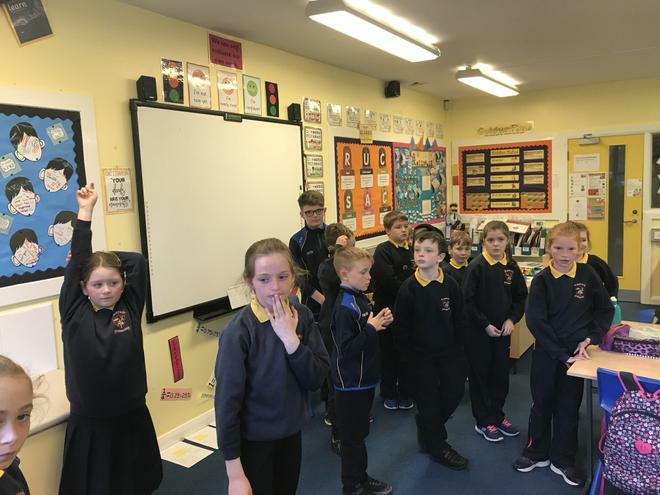 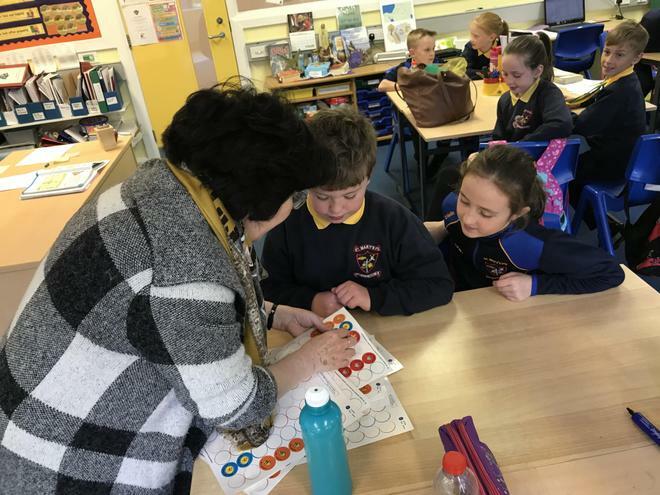 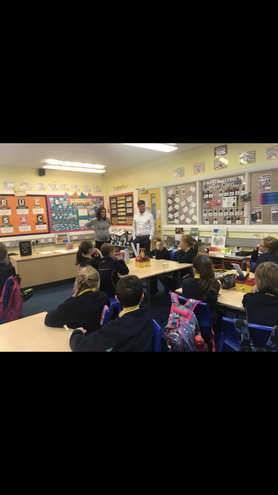 Cancer Focus NI visited our class to deliver their Smokebusters Programme. 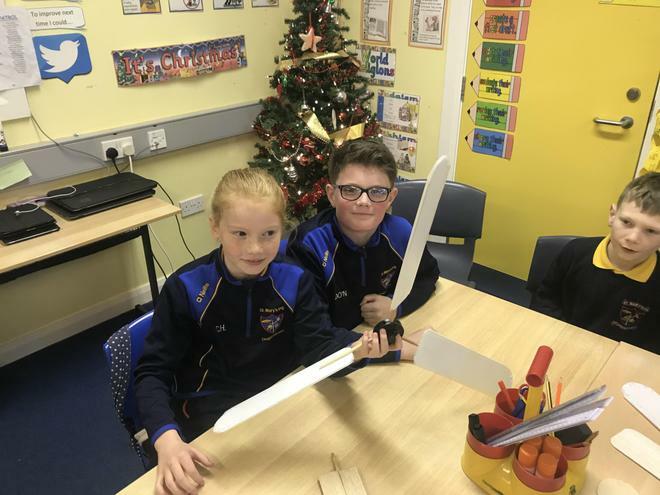 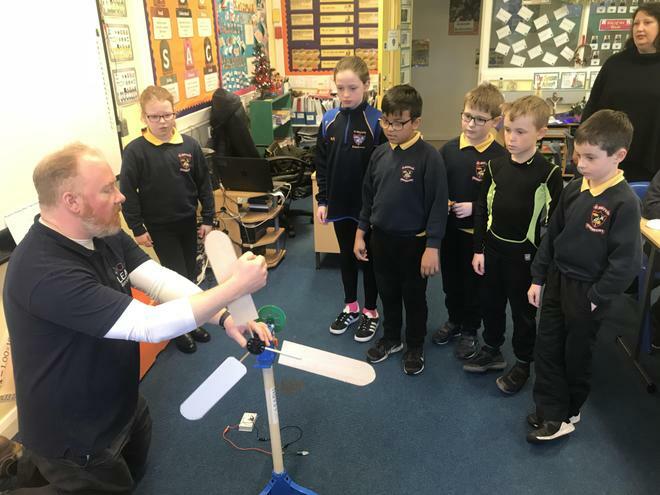 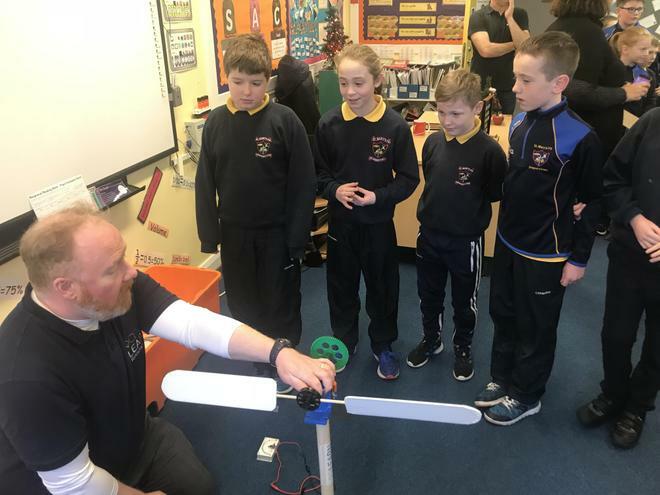 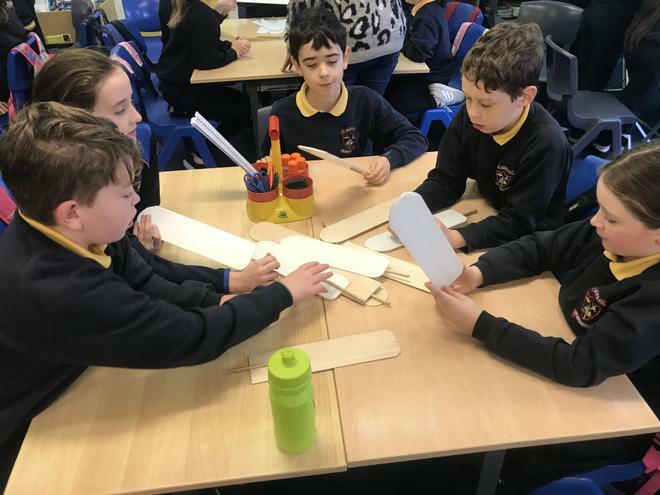 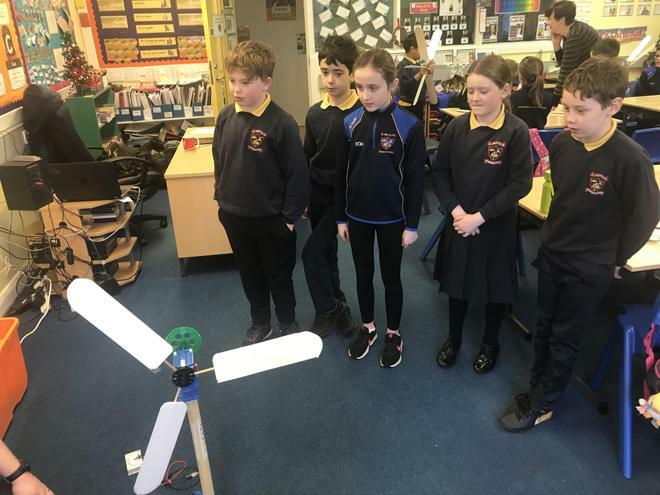 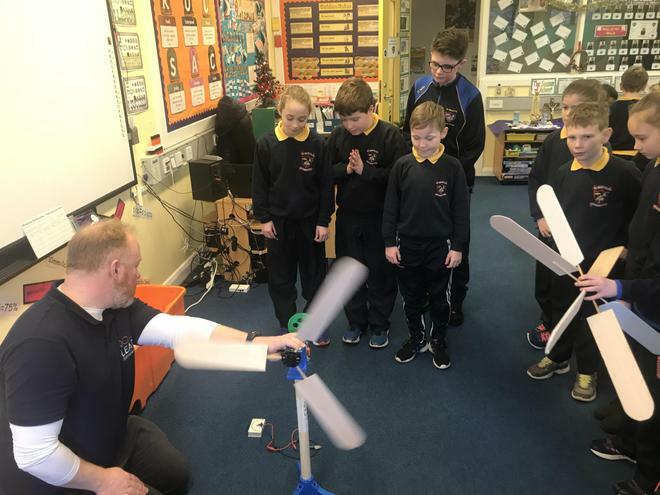 Creating our own wind turbine. 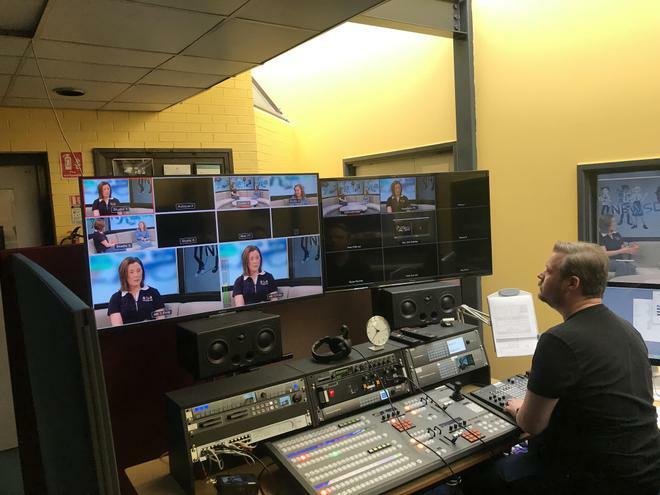 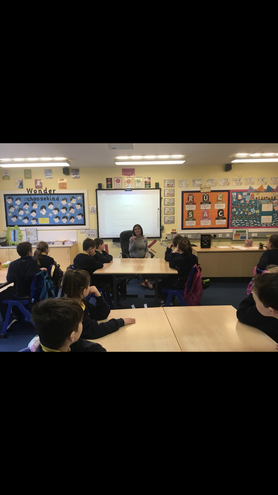 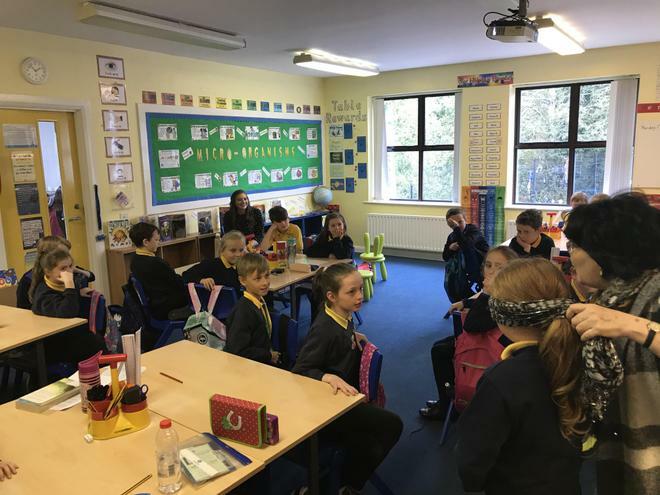 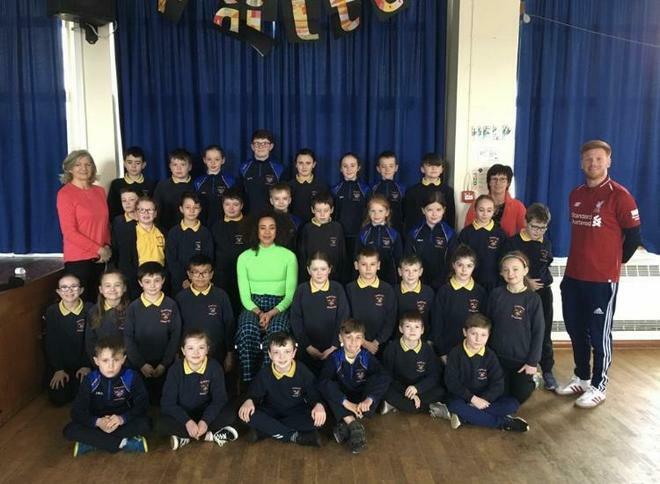 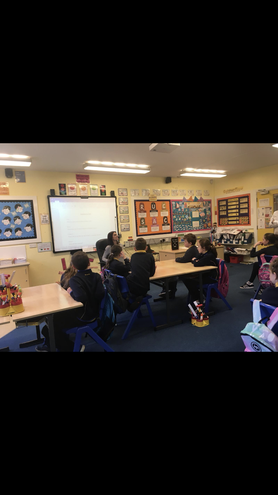 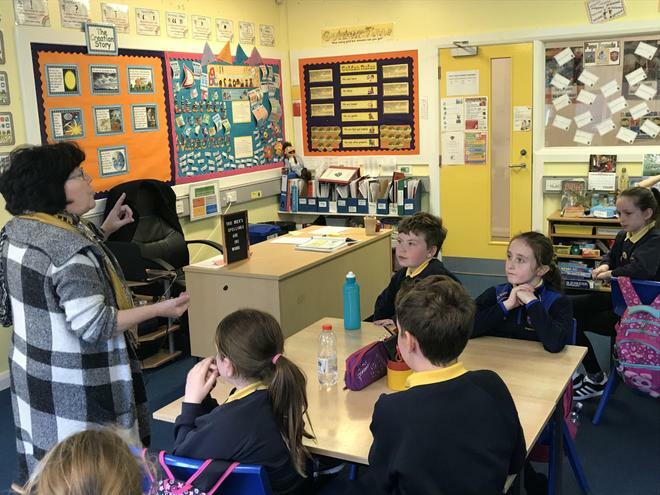 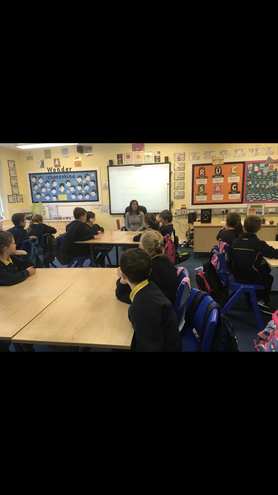 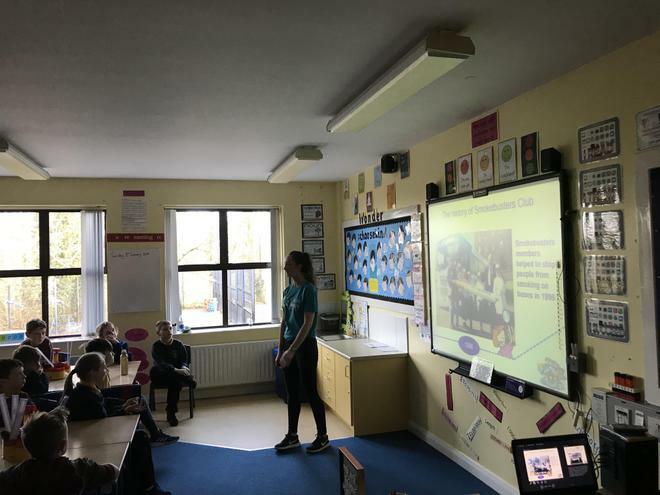 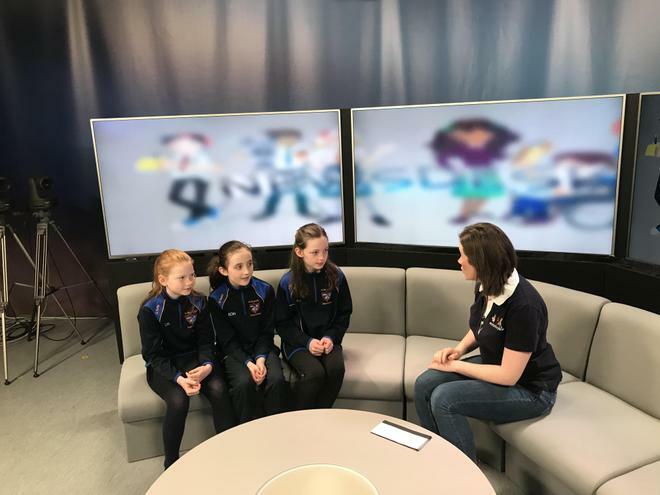 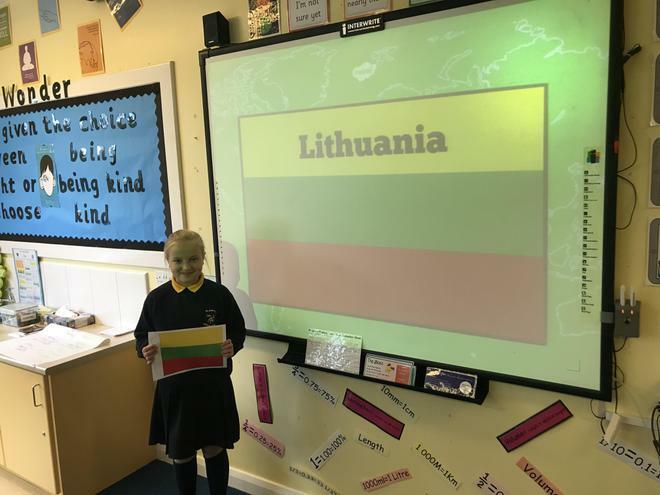 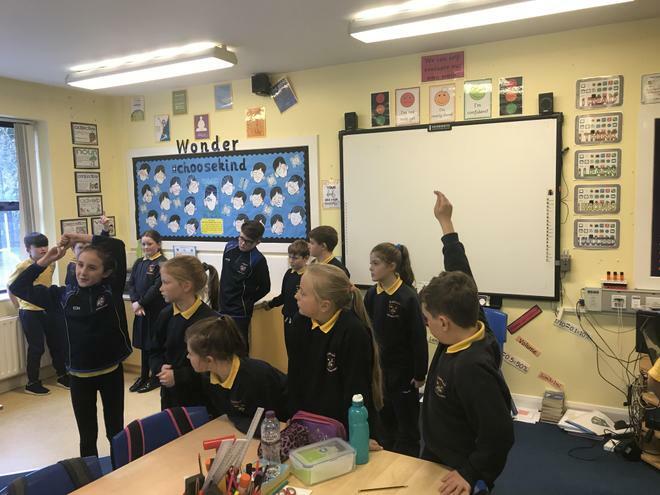 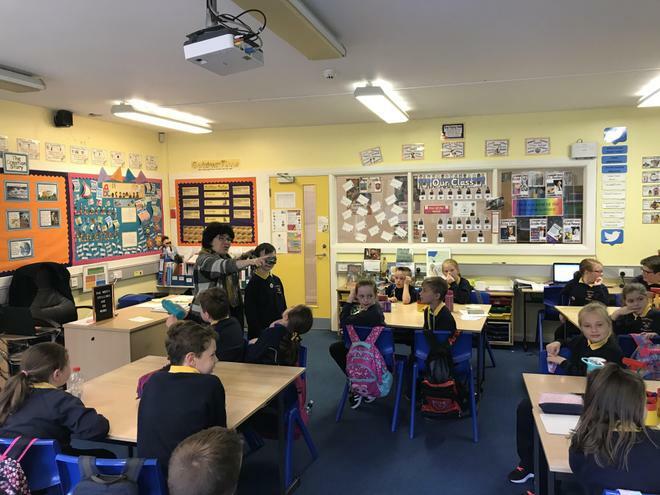 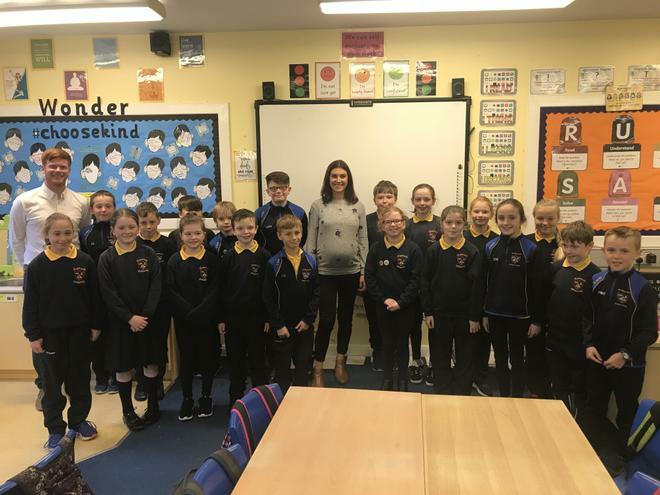 Our past pupil Orla Chennaoui visited our class today to talk about her role as a journalist and working for Sky Sports. 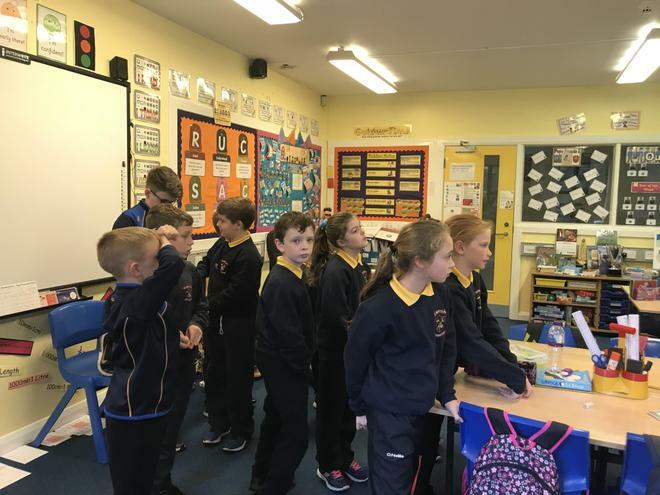 In our PDMU work today we carried out a “Walking Debate” and discussed the different forms of Bullying. 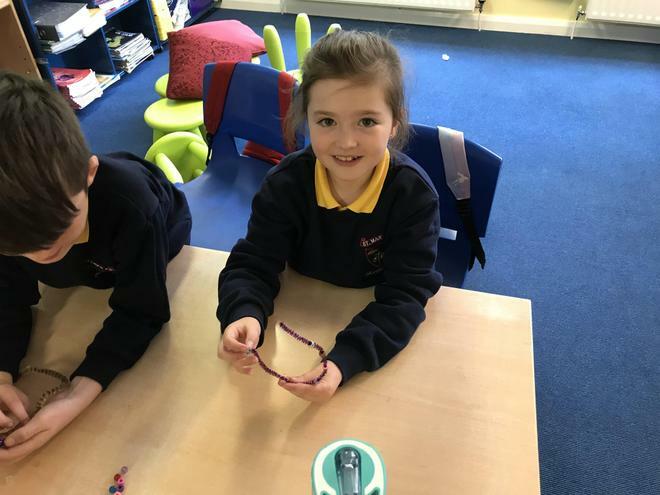 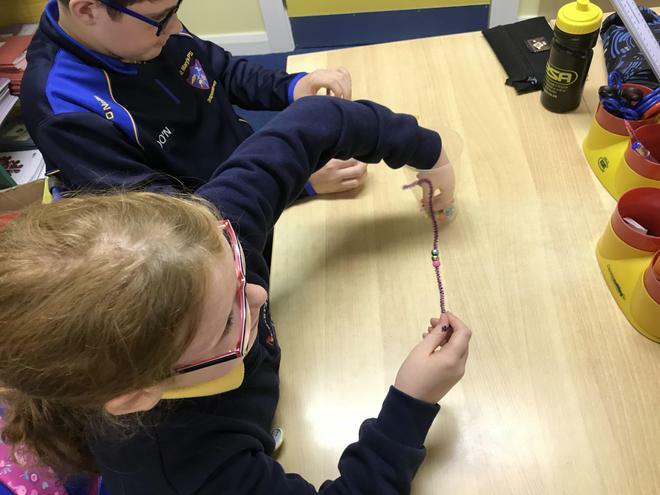 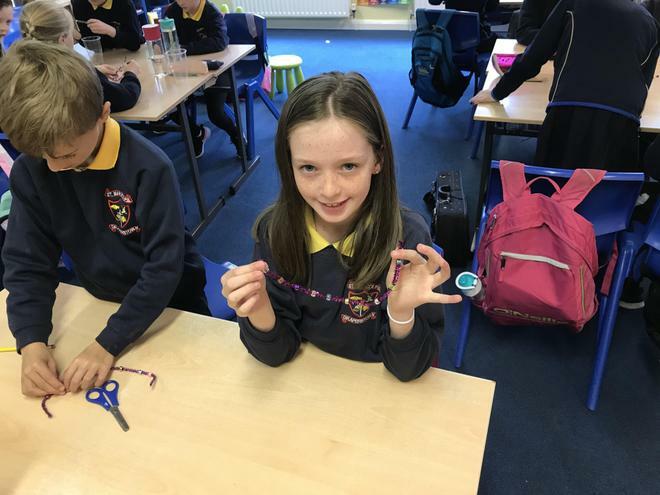 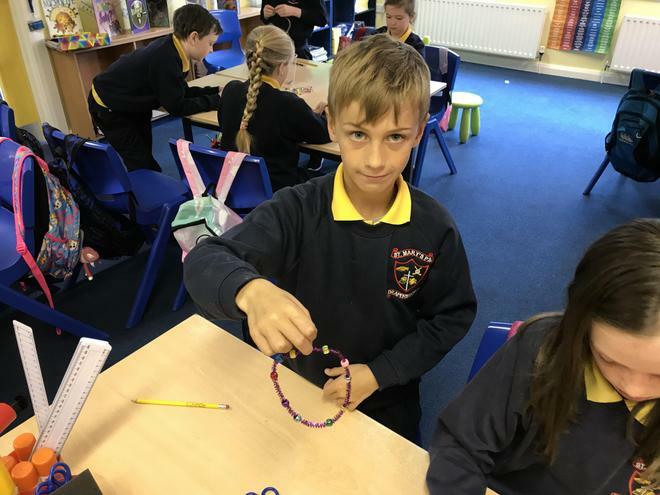 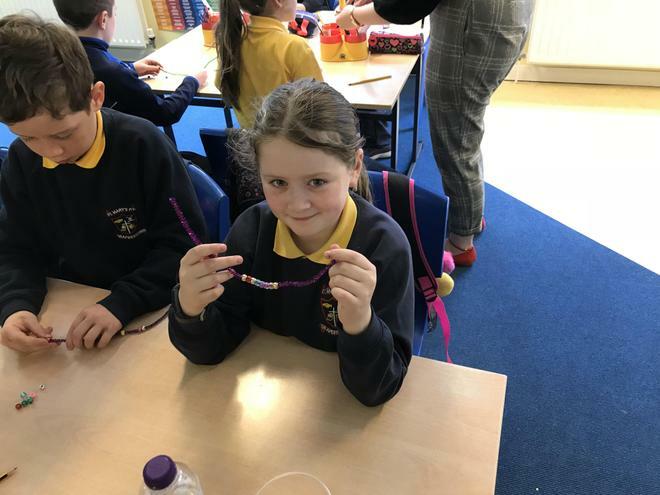 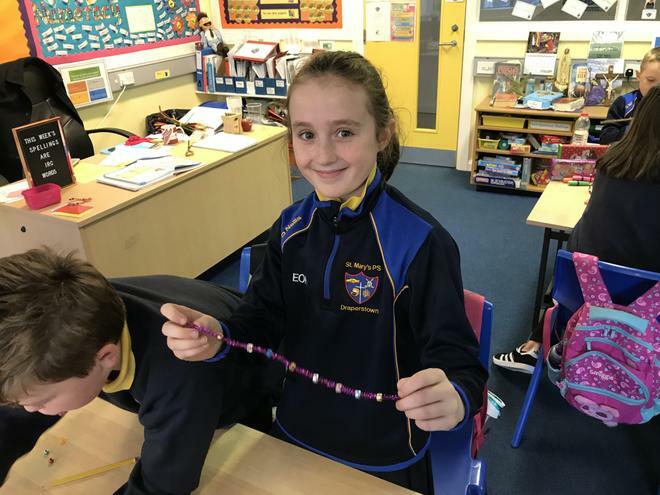 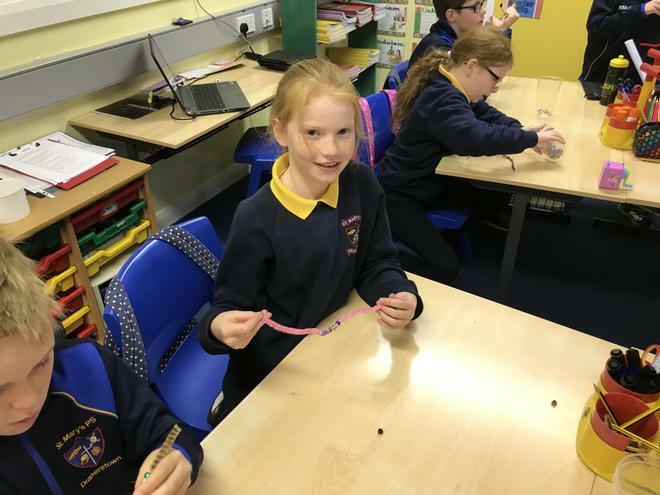 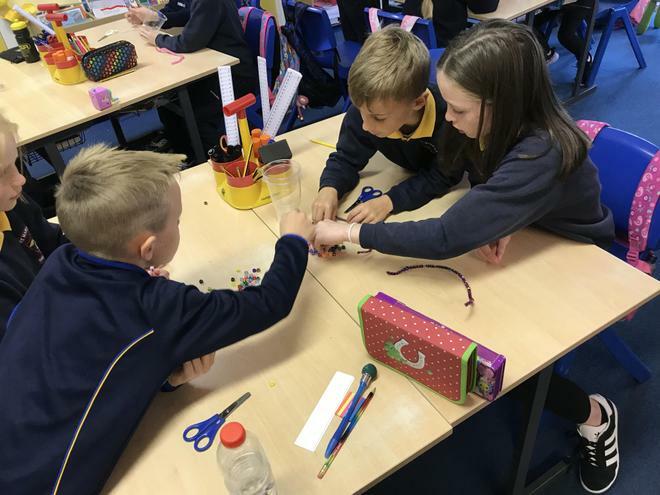 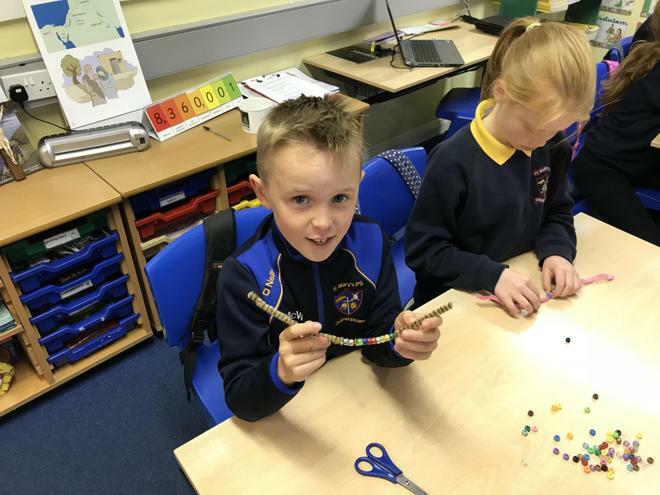 Making our own Rosary beads to mark the month of the Rosary.